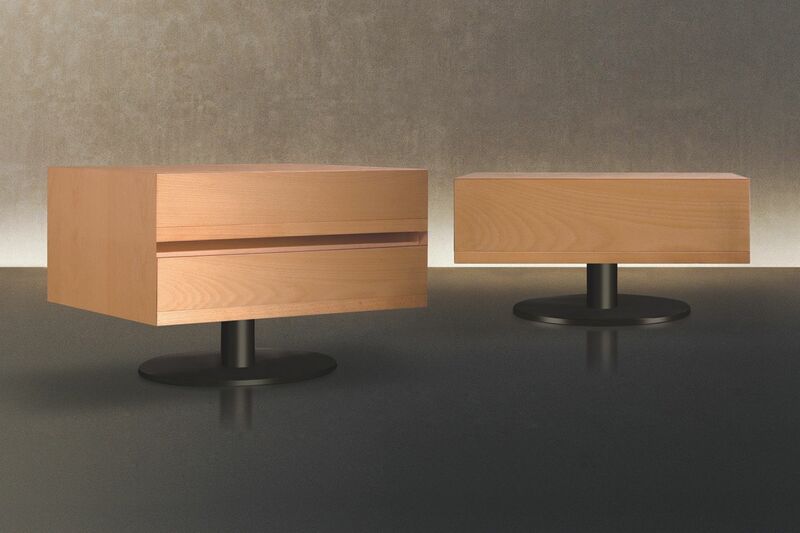 The Norma series of bedside cabinets, with one or two drawers, are available in beech wood in different shades. The base and the column are in varnished bronzed metal. The partially removable drawers have recessed sliding runners and are equipped with the silent system closing. The handles are in polished solid beech wood.